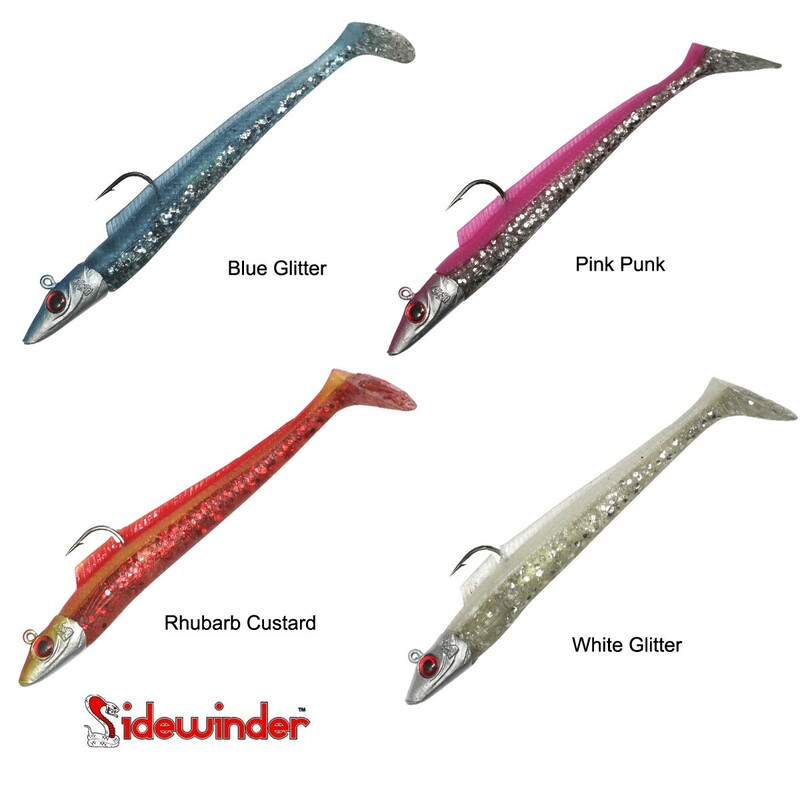 Our brand new range of superb Jig Head sandeels lures are packed with many innovative features never before seen in a latex lure. • Salt Trap Tech (STT) - we have used actual salt in the manufacturing process so that they taste salty to fish. • DUO construction - double pour latex build for durability whilst retaining the famous Sidewinder action! • In built ‘Rattle Chamber’ featuring tungsten rattle balls for great vibrations during retrieve. • Dayglo belly tube - glows in the dark, brilliant for deep wrecks. ( For best results - ‘charge’ the belly of the lures with a torch before use). • Best quality components and Mustad hooks throughout. Packing - 2 Complete Rattlebacks per Blister pack .